The UN General Assembly has been feeding us some great gems from the assembled head of states, such as this Mugabe bombshell. And in this day of intense social media, where almost any significant activity is followed in real time, issues can pop up out of almost nothing. It is a symptom of the kind of world we are immersed in now. In the real world, where you have to give interesting opinions to be taken seriously, most people are mere passengers. In the virtual world though…. A picture was posted online of US President Barack Obama with South African president Jacob Zuma during a luncheon at the UN General Assembly. Somehow, it has become a thing with people giving varying shades of opinions on what mush have happened. The US President approached the South African President to exchange pleasantries. 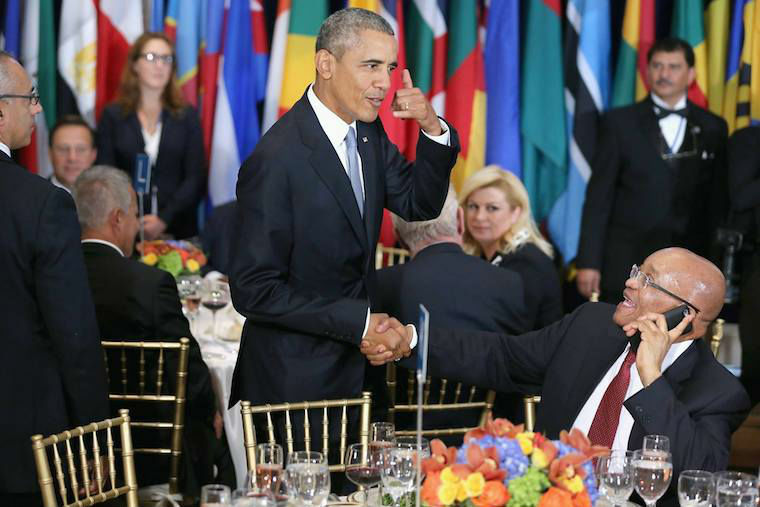 Zuma, who was making a call, kept on talking on the phone whilst shaking President Obama’s hand. The US President is also seen in the picture making the gesture for a phone call. Social media has erupted into what it does best, creating mountains out of molehills. The main schools of thought seem to be arguing for which head of state has committed a protocol infraction. Some says Zuma should have hung up when he saw the US President walking towards him, others say Obama should not have approached him realising that he was making a call. Some are up in arms against President Zuma, one person describing him as ‘a disgrace’. 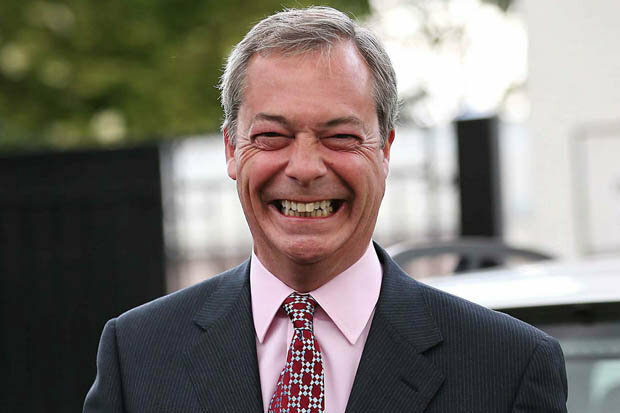 Another called him an embarrassment to the continent and the world as a whole. How that can be gleaned from one contextless picture beats my mind. The other side of the equation piles on the US President for not giving the South African President space to make his call. It seems Obama was going around exchanging pleasantries at the time. Barack Obama is not the president of the world. If Jacob Zuma wants to take a call & keep Obama waiting, he can. and will. and did. The whole thing, to me at least, is just another symptom of a world rendered too small by technology whilst filled with people with too much time on their hands. The whole thing is probably one funny joke to the two men, and we are in the background, playing judge, jury, and executioner. The problem with getting worked up about the Zuma/Obama pic is that you don’t know what preceded the shot, and what happened next. @simonrademan we honestly don't know what came first;the Obama approach or the ringing of Pres Zuma' phone. What do you make of this non-controversy?